Today we parted ways with Hans as he needed to catch an afternoon flight out of Rome. 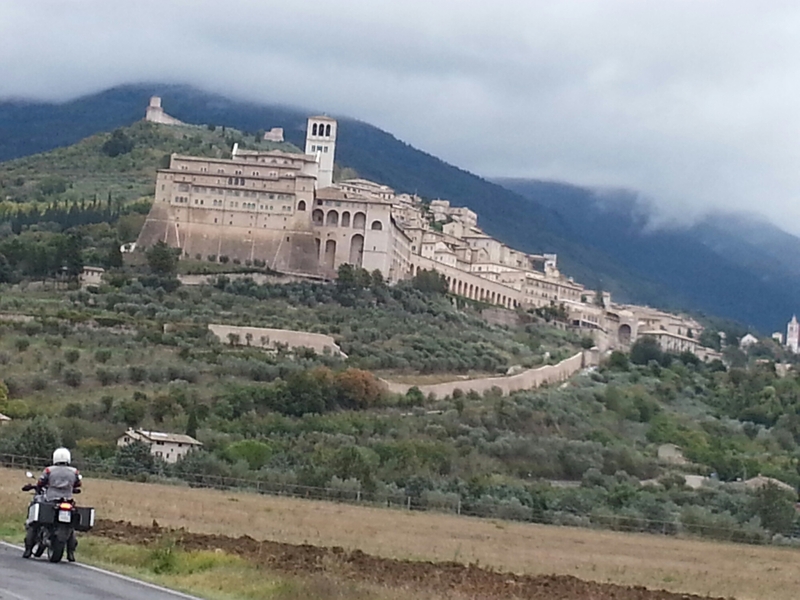 Hans headed straight there on his Ducati as we headed to Assisi, a religious Mecca for Art. Plus, it is Sunday and Art was looking for a religious existence. The weather was improving, the roads drying out, though the skies were threatening. We spent considerable time wandering the streets, sightseeing and finding n alfresco lunch spot in a plaza. The views from the bottom and the top. Of course, with all our dilly-dallying, we ran out of time and needed to head straight to Rome in order to get to the rental house and retrieve Art’s luggage. Of course, being Sunday, the employee for the rental company was not there. Plan B… head to the hotel and come back in the morning. The hotel is close to the Pantheon and we had to navigate the Rome traffic into the center of the city. If I hadn’t ridden in Manila, I would have been terrified. 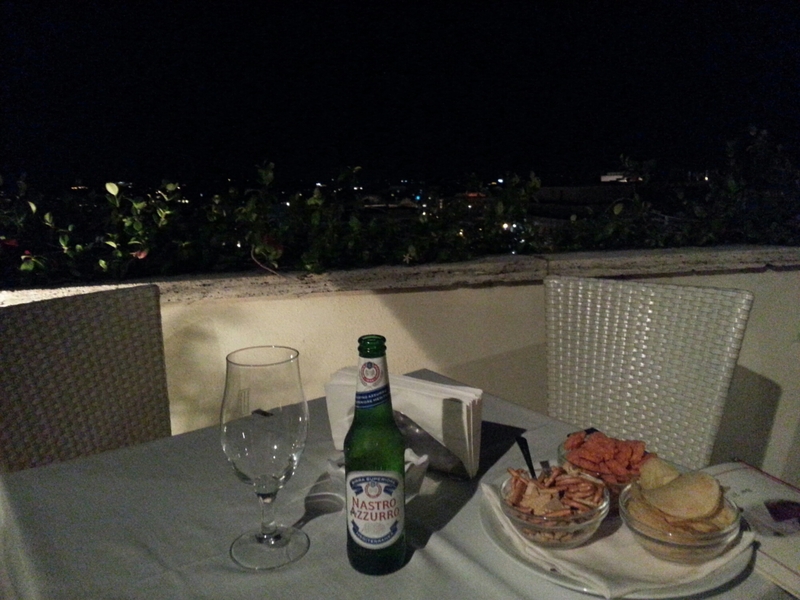 We had a quick beer at the rooftop bar and headed, by taxi, to dinner. This was the scariest part of the day, buzzing through narrow streets, dodging pedestrians and scooters at crazy speeds. Well, not so much dodging as intimidating. The dinner was at a restaurant the hotel concierge said was not a “tourist” place. We were the only English speaking guests so, she was probably correct. Afterwards, We walked 3.5km back to our hotel past nightclubs and plazas that were also non-tourist oriented. By the time we returned it was almost 1:00 am. Another short night. The view from the hotel rooftop. The Colliseum was barely in view. 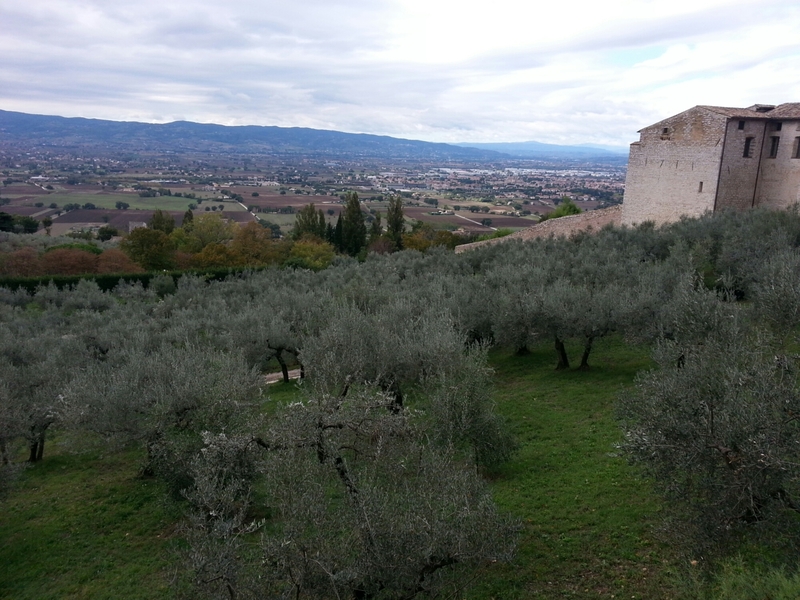 Tomorrow, we’ll drop Art at the rental place and head forward southern Italy, new regions to explore. And… It is supposed to be sunny.